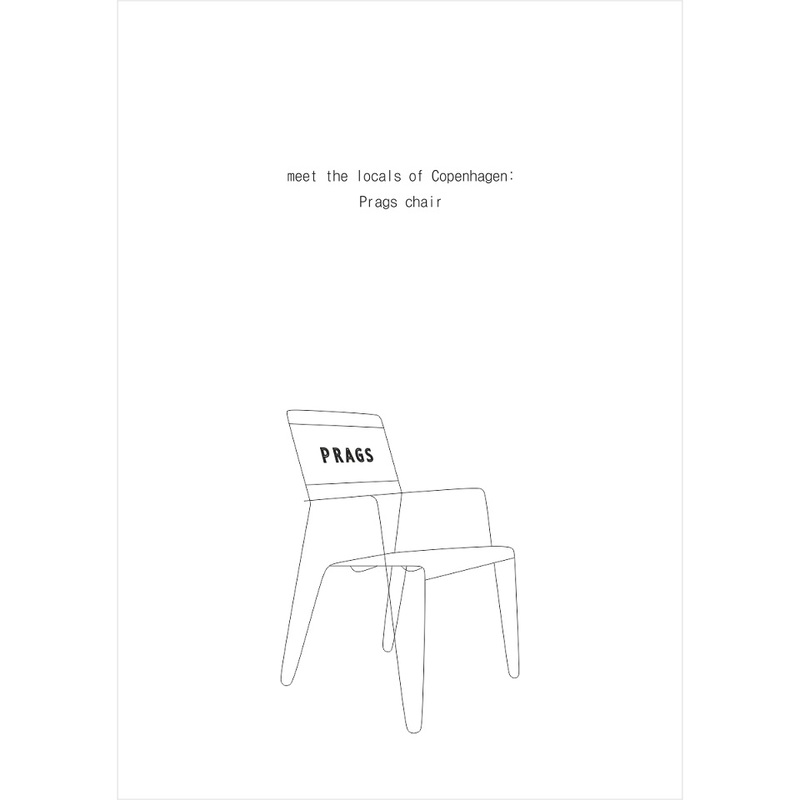 This print explores the patterns in Copenhagen lifestyle with a humorous title “meet the locals” and features illustration of the Prags Chair, which used to be scattered around in Prags Boulevard as urban furniture until recently. When we had our studio at PB43, we loved having our lunch down at the Prags Boulevard, dragging the chairs to the sunny spots of the grass. 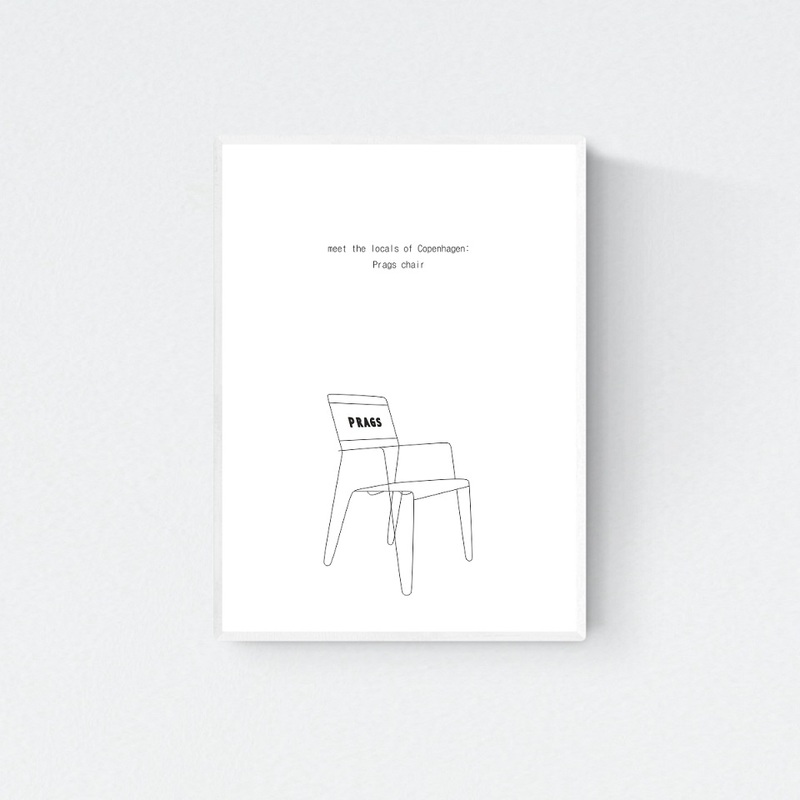 Because the chairs were not fixed to the ground, every day you would meet a different landscape at the boulevard. It was beautiful!